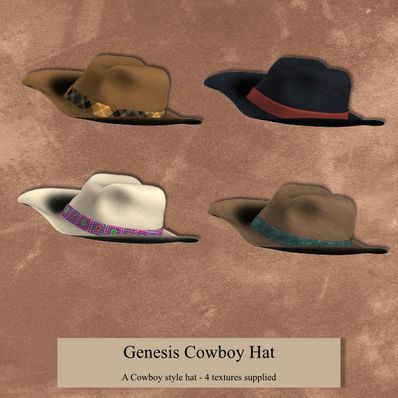 A Cowboy Hat for Genesis for use in Daz Studio 4. Thanks so much, you're the best. Wonderful hat, is there anything you can't create?